This game group is no longer active, but you can read our actual play reports and randomness on the forum. Many henchmen died to bring us the joy of seeing our PCs die a few sessions later… good times. Find out What We're Playing or check out actual play reports for Black Peaks and Stars Without Number and Dungeon World. 105: Mushroom People on 7 July 2014 at Kafka's. 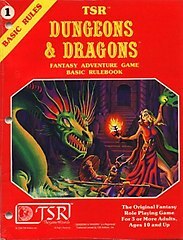 The term "Dungeons & Dragons" is a registered trademark of Wizards of the Coast, Inc. The use of the term on this website is not intended as a challenge to that trademark in any way. The use of copyrighted images on this site is justified under a fair use rationale for non-commercial, nominative use at low resolution.